Along with the cage, you get an eating trough, a nice little bowl, and a water spout. Made of robust varnished metal mesh, the model can be fully disassembled. Fitted with a base made of thermoplastic resin, the construction keeps the liquids from spilling out. Plus, it contains sawdust and dirt. The sliding door doesn't always fasten that well and may fall down sometimes. Ferplast Casita 120 feels less like a cage and more like a comfortable home for your best friend. It is comfy and convenient for the bunny and just as convenient for you given how easy it is to put together, maintain, and how little space it takes. The construction features a wooden ladder that connects the upper and the lower spaces. 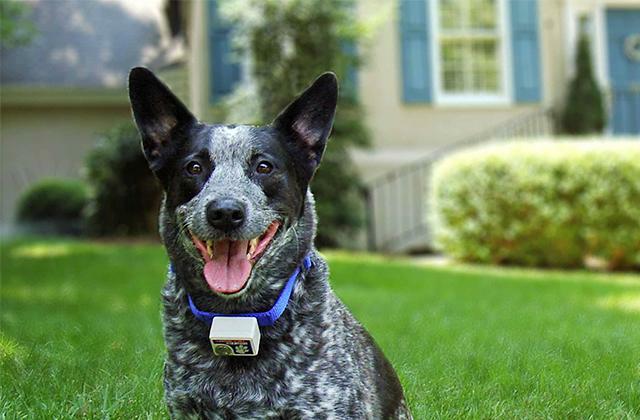 It will allow your pet to freely move between the levels and decide where he prefers to rest. Plus, it can be detached too. The cage comes equipped with 2 hayracks, so you'll be able to feed 2 pets at the same time. The bottom part is a little awkward to clean. 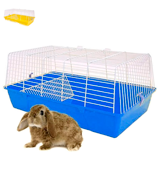 Easipet FED21620 is the indoor rabbit cage you get when you don't want your favourite pet to feel cramped and restricted. It offers plenty of real estate even for larger bunnies. The model's practical enough. Plus, it is available in black, pink and blue. Incorporating a couple of side handles, the cage is really easy to transport and move around. You can bring it with you on the road without inconveniencing yourself in the process. A nice little see-through hayrack makes it easy to feed the pet. The plastic bottom is easy to wipe. Heritage VRB-100 has most of the markings of a premium indoor bunny hutch but without the usual price tag of one. The construction is lightweight. 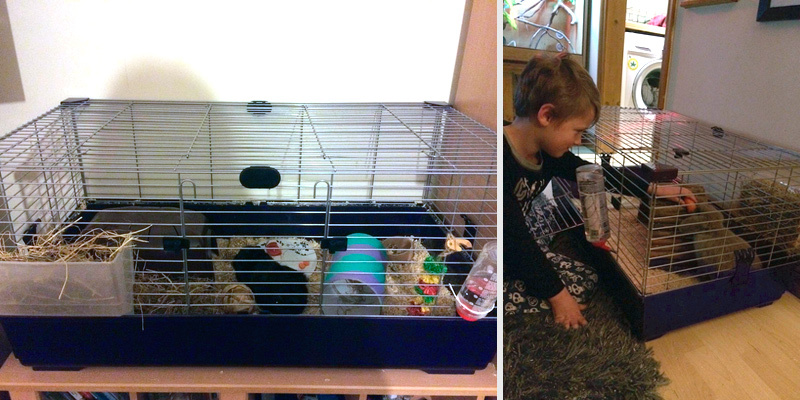 It is just as convenient for the bunny or a couple of guinea pigs as it is for the owner. And it isn't demanding in terms of maintenance. The cage itself weighs less than a kilogram, so you can easily carry it around without hand fatigue kicking in sooner than later. The hutch is easy to clean. 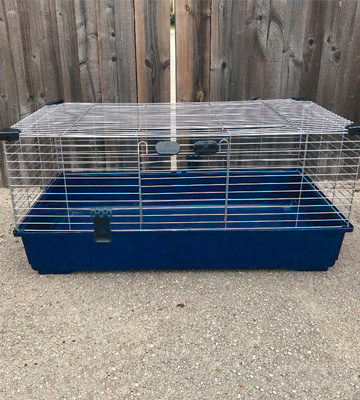 The blue plastic base makes the cage stand out. Plus, it does a fairly good job keeping the litter, sawdust, and water inside. Chunky rabbits may find somewhat confined. Little Friends Rainbow 59 deserves its cute nickname. Plus, it is ridiculously affordable, by far the most modestly priced cage in this review. Inexpensive, lightweight, practical, and convenient enough, the model is a good transportation cage or a temporary home solution. You get 12 steel wire panels, 24 connectors, and 34 zip ties. With them, you'll be able to expand the cage and create all sorts of elaborate corridors and labyrinths. Every part and every component is made of light and environmentally-friendly materials. They do not incorporate sharp corners nor do they exude any kind of smell. Since the cage has an open construction, it is susceptible to litter build-up. Koossy DEEF-001 is less of a cage and more of an expendable playpen. It is definitely not as convenient for transportation as the rest of these models. But it offers way more space for your pet to play and run around. 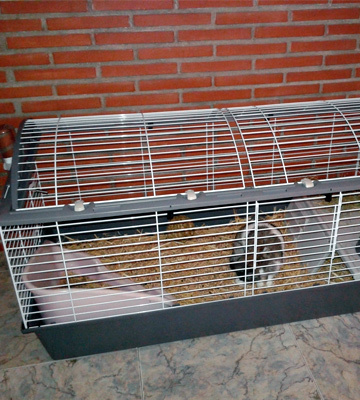 Ferplast Casita 120 is less of a cage and more of a luxurious modern home for your bun. It has that typical barn shape that really makes for a comfortable habitat, with a raised roof and white side stripes that meet in a cross. The company behind it advertises the model as a "fun cage" and, as cages go, it isn't a bad way to describe it. The construction is really roomy. Along with the cage, you get an eating trough, a nice little bowl, and a water spout. The construction includes a lower level with this practical little lovely house that's great for resting. The plastic stairs will lead your little buddy upstairs, where he can enjoy what basically amounts to a comfortable living room. Made of robust varnished metal mesh, the model can be fully disassembled. Though not that small, this bunny house takes up surprisingly little room. Fitted with a base made of thermoplastic resin, the construction keeps the liquids from spilling out. 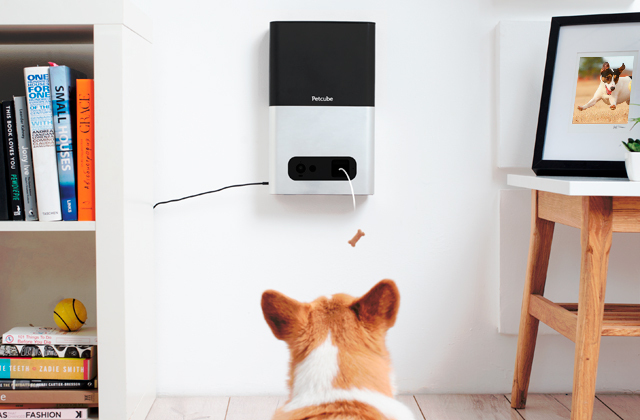 The front part includes a sliding door with a lock that will help you keep your pet safe. Finally, the cage is really easy to maintain. The fully opening roof makes it easy to access every corner of the barn. Plus, the base and the top can be separated too. To rephrase our earlier point, Ferplast Casita 120 feels less like a cage and more like a comfortable home for your best friend. It is comfy and convenient for the bunny and just as convenient for you given how easy it is to put together, maintain, and how little space it takes. 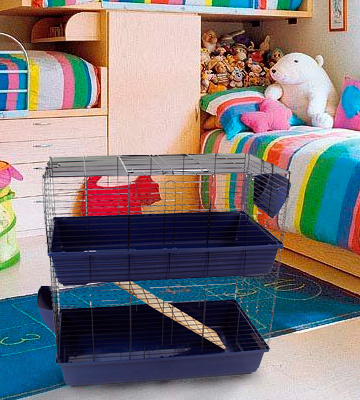 Easipet FED21620 will prove a suitable home for all sorts of smaller pets like rabbits, guinea pigs, and chinchillas. The cage, with its 2 levels, is about as roomy and spacious as they come. 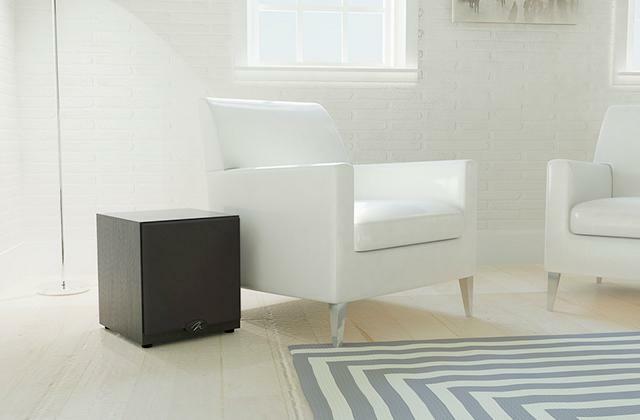 It adds up to 100 x 100 x 52 centimetres in overall dimensions, so your little buddy won't feel confined and restrained. For the most part, the construction is fairly simple. You have a wooden ladder that connects the upper and the lower spaces. 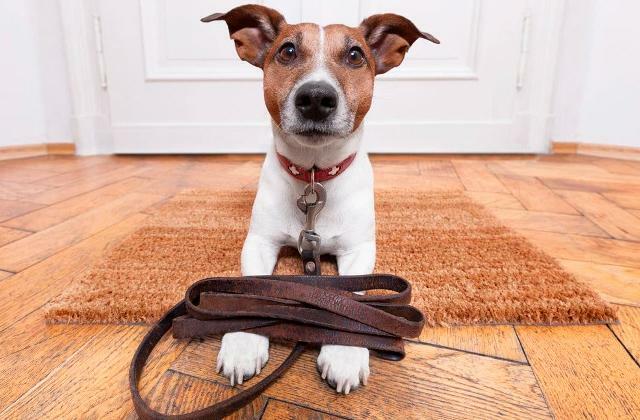 It will allow your pet to freely move between the levels and decide where he prefers to rest. Plus, it can be detached too. 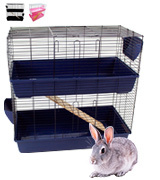 The indoor rabbit cage comes equipped with 2 hayracks, a small detail that makes it a lot easier to feed the pets. The top opening makes it easy and convenient enough to fetch the pets and put them back in the hutch. On the whole, the cage is not difficult to clean, mostly thanks to the aforementioned top opening. But since it doesn't really fully disassemble, the bottom half is a little awkward to clean. 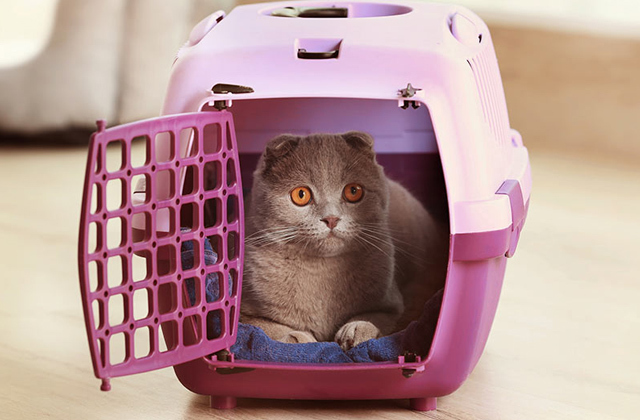 The wire panels make the cage secure enough without blocking the lighting and making your pet feel too imprisoned. 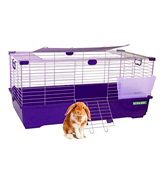 All in all, Easipet FED21620 is the indoor rabbit cage you get when you don't want your favourite pet to feel cramped and restricted. It offers plenty of real estate even for larger bunnies. The model's practical enough. Plus, it is available in black, pink and blue. 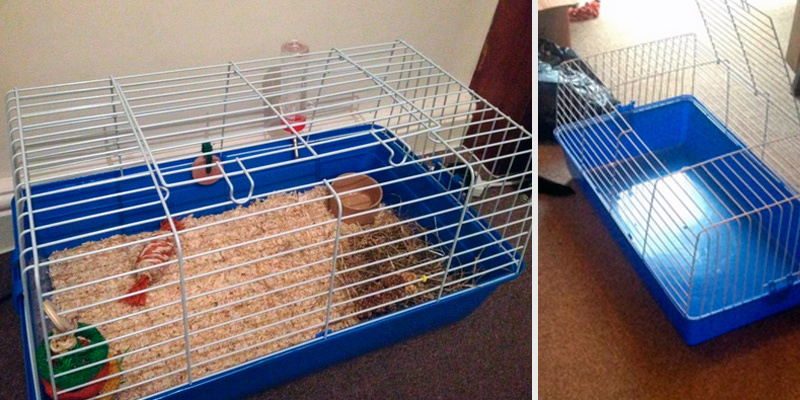 Heritage VRB-100 is a pretty good cage for your average rabbit or a couple of guinea pigs. It is 53 centimetres tall, so even a rabbit won't feel like the hutch isn't enough and should be able to stretch, stand on the back feet, and move around a little. 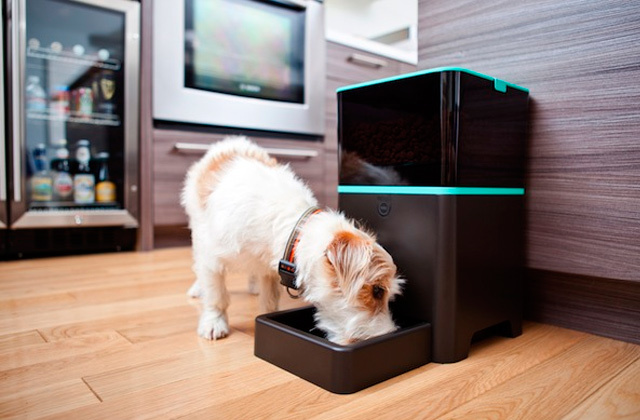 But what we really like about this model is how convenient it is not just for the pet but also for the owner. Incorporating a couple of side handles, the cage is really easy to transport and move around. 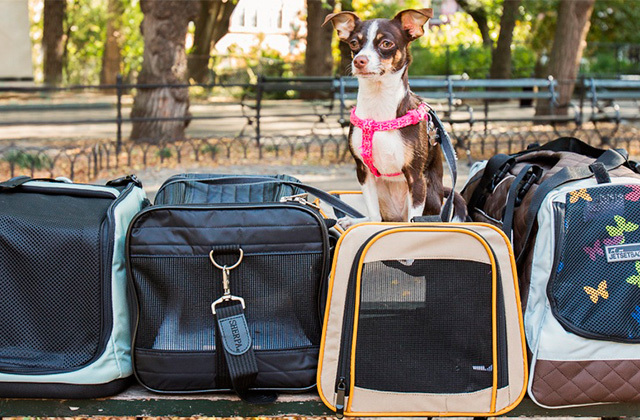 You can bring it with you on the road without inconveniencing yourself in the process. This indoor rabbit hutch comes with a nice little see-through hayrack. 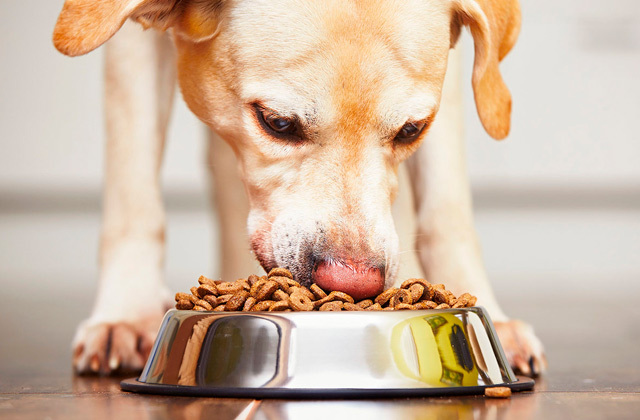 With it, feeding your pet will be but a cinch. 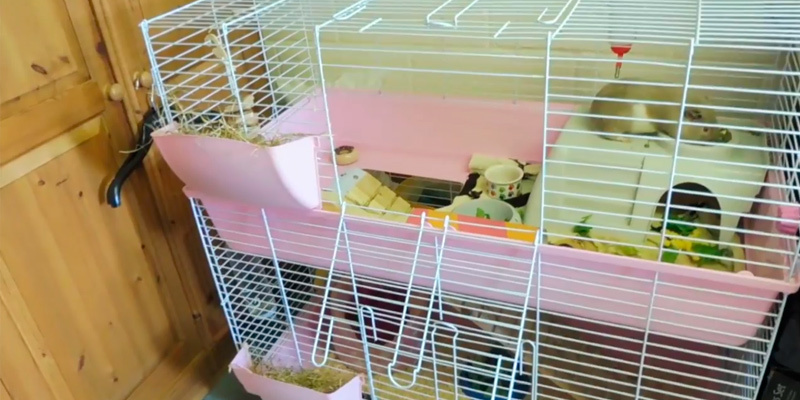 In addition to the usual top opening, the cage also features a side opening, so you can leave it open for your pet to freely move in and out of his home. 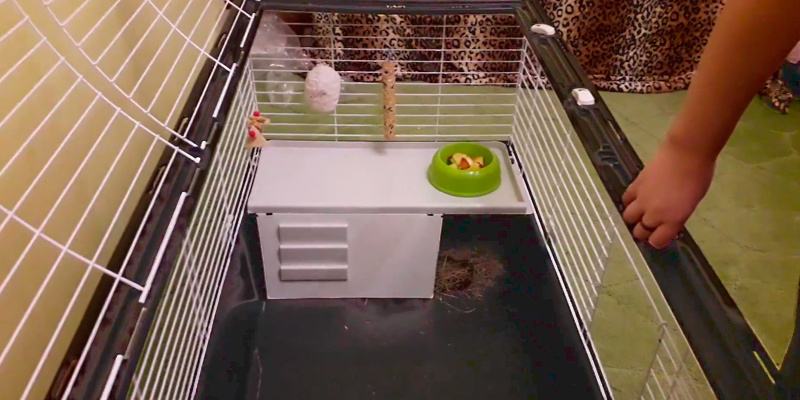 Plus, it makes the cage easier to clean since you'll be able to access every corner. The construction is simple but sturdy enough. You can easily attach toys and water bottles to the metal bars. The plastic bottom is easy to wipe. The instruction manual could use some improvement but this isn't rocket science and you should be able to figure it out yourself. In short, Heritage VRB-100 features most of the markings of a premium indoor bunny hutch but without the usual price tag of one. The construction is lightweight. It is just as convenient for the bunny or a couple of guinea pigs as it is for the owner. And it isn't demanding in terms of maintenance. Little Friends Rainbow 59 deserves its cute nickname. Plus, it is ridiculously affordable, by far the most modestly priced cage in this review. But let's get one thing straight - this isn't a permanent home for your pet. Considering the 31.5 x 59 x 35.5 centimetres in overall dimensions, this is more of a transport cage or, worst-case scenario, a temporary cage. It works great as the former and does its job as the latter but it will be way too small for an average bunny, let alone a large one. Having Little Friends Rainbow 59 at your disposal will make travelling with your bunny easier than ever. The cage itself weighs less than a kilogram, so you can easily carry it around without hand fatigue kicking in sooner than later. 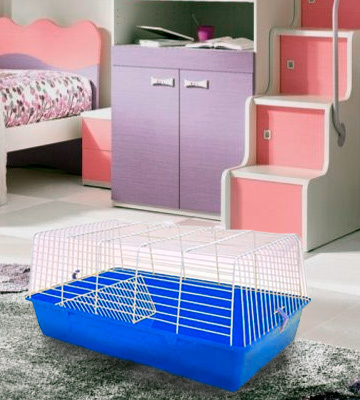 The blue plastic base makes the cage stand out, so you will not confuse the hutch and your bun with any other cage in the close vicinity. Plus, it does a fairly good job keeping the litter, sawdust, and water inside. It does have a top opening, which is nice since you'll be able to easily get your rabbit and put him back in. Unfortunately, it doesn't have a side opening. But, then again, this is a temporary/transportation cage, so it hardly needs one anyway. What else is there to say? Inexpensive, lightweight, practical, and convenient enough, Little Friends Rainbow 59 is a good mini-cage for any bunny, provided you use it the intended way. Koossy DEEF-001 is less of a cage and more of an expendable playpen. It is definitely not as convenient for transportation as the rest of these models. But, the thing is, every other cage in this review should be used as a home base and definitely not as a 24/7 solution. Even the biggest cage is too small for any rabbit to sit in it all day every day. They're active animals, closer to cats than they are to any rodent. They need to move around and, with this expandable indoor rabbit rage, they will be able to do just that. The construction here is fairly straightforward. You get 12 steel wire panels, 24 connectors, and 34 zip ties. With them, you'll be able to expand the cage and create all sorts of elaborate corridors and labyrinths. 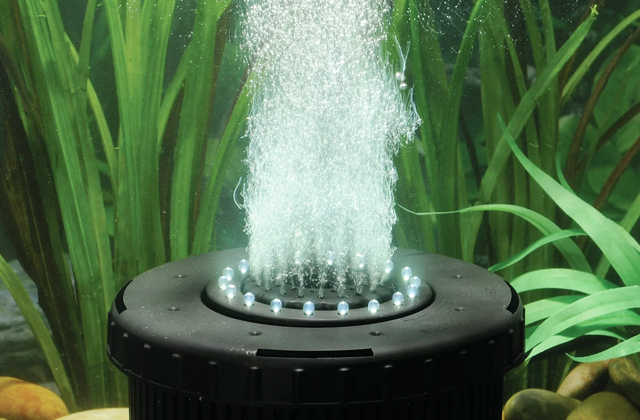 Every part and every component is made of light and environmentally-friendly materials. They do not incorporate sharp corners nor do they exude any kind of smell. 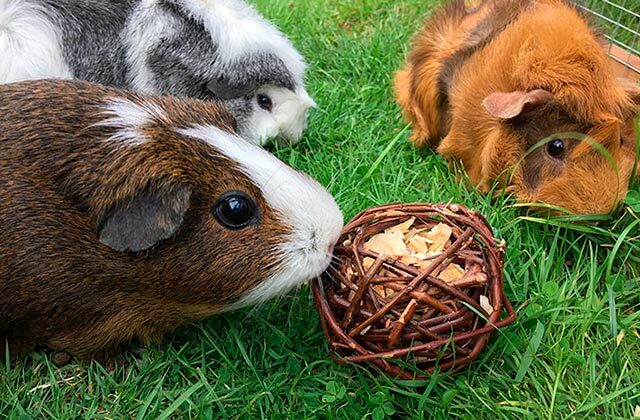 Though seemingly thin and relatively flimsy, the ABS plastic parts and the steel wires are tough and durable, able to withstand an contain the most wayward pets. 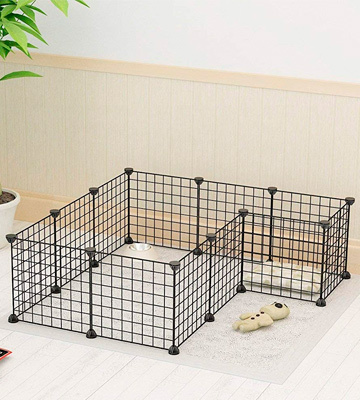 Of course, since you're able to expand and heavily increase the overall size of the playpen, it can be suitable not just for guinea pigs and rabbits but also bunnies and puppies. The only problem with an open construction is that, unlike closed cages, it is susceptible to litter build-up. 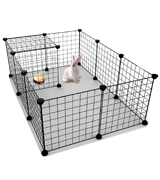 Other than that, Koossy DEEF-001 is a much better option for pets like rabbits and bunnies than any other confined cage. 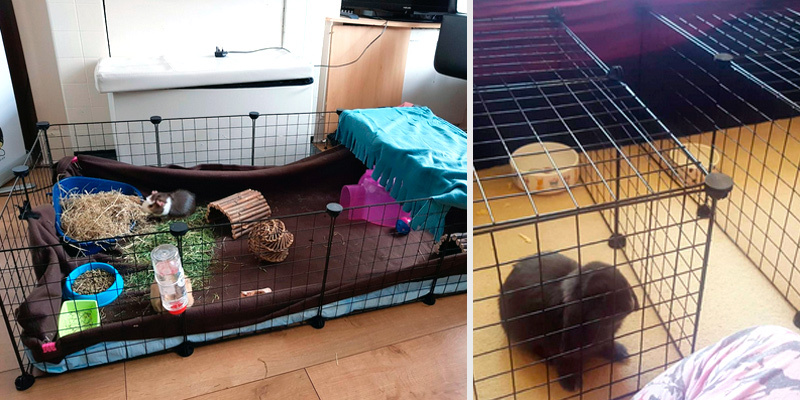 What Is an Indoor Rabbit Cage? If you have finally decided to purchase a fluffy rabbit, remember that we have to provide comfortable living conditions for our bunnies. Your bunny will not be able to visit the shopping centre to buy a bed to sleep in. So, it will be your responsibility to make sure that the future "burrow" will meet all physical and mental needs of a rabbit. Therefore, be responsible and try to choose the best hutch for your new pet. A rabbit hutch, also known as an indoor rabbit cage, is a place where your pet will spend most of its time eating, drinking, sleeping, walking, and having fun. Bunny's accommodation will be its whole world. So, our task is to make our rabbit regard its cage as a sweet home. Thus, it is vitally important to choose the best hutch for your future friend. 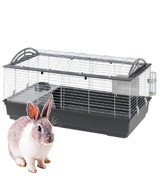 Indoor and outdoor cages come in a large variety to fit different bunnies, from the simple metal wire cages to the deluxe multistorey models. What is more, some hutches can have an additional water bottle, food bowl, a box for hay and toys etc. We have surfed through the ocean of choices and selected 5 best rabbit hutches. 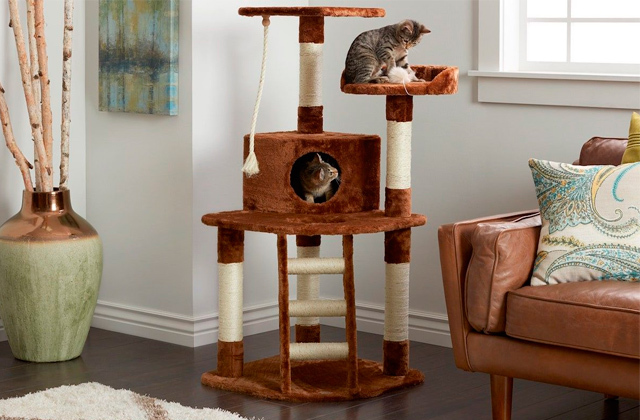 And if you have a feline companion as well, consider our reviews of cat houses and cat trees.